Last year, Viktor Orbán, Hungary's right-populist prime minister, decided to regain voters lost due to endemic corruption by starting an anti-refugee hate campaign. With success. But that success made his minions only more brazen. I recount two recent tales with comical elements: the rise and fall of shopping-free Sunday (or: the mystery of the baldies), and the secrets of the central bank. The Orbán government introduced shopping-free Sunday a year ago, exempting small shops run by the owner. On the surface, this was a sop to the Christian Democrat coalition partner of Orbán's own party, Fidesz. In practice, it was meant to channel shoppers from multinational retailers to the franchised shops of a Fidesz-close pair of entrepreneurs (and win back grocery owners alienated by the state franchising of tobacco sale, which was used to reward friends & relatives). Worker exploitation was no factor, of course. The move didn't work out as planned: people overwhelmingly chose to shop at the same place but on Saturdays. But the government didn't want to admit a mistake. no two referendum initiatives on the same subject can be active at the same time. In July last year, the Socialists managed to submit their question first, but NVB threw it out on the grounds that the submitter wasn't the signatory but a representative, and enjoyed unfair advantage vs. the "private person" by having an entry card for the building. The problem: the "private person's" question was incomprehensible and illogical, so, in the end, NVB was forced to throw it out, too. The Socialists sued against NVB's decision, but lost in October 2015. This opened the way for re-submissions. This time, the minute(!) the court announced its decision, another "private person" submitted another question, minutes ahead of the Socialists. The problem was, the second "private person's" question was illogical, too, and the Socialists could get a second-order court ruling on that. Thus came the third round in February 2016. 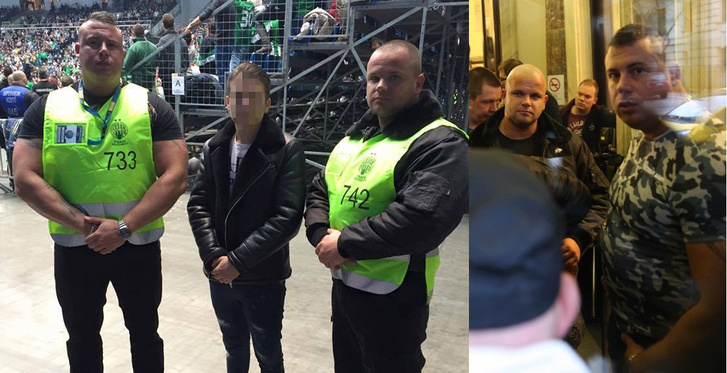 This time, the Socialist submitter arrived early, but a dozen men who looked like football hooligans (shaven heads, steroid-boosted muscles, tattoos; the media christened them "the baldies") shouted insults and blocked their way in. But when the third "private person" and a companion arrived, they were allowed to pass. The same thing repeated indoors where a time-stamping machine was installed. It wasn't even the third "private person" but her companion who did the stamping and submission. Then the baldies left. All this without security guard intervention, and in the full view of assembled media. This was too much for the head of the NVB who proposed to throw out the third "private person's" question, but the majority over-ruled him, claiming that it's not obvious that the Socialist submitter was hindered, and the third "private person", an old woman, is semi-handicapped and can be allowed to use a representative. 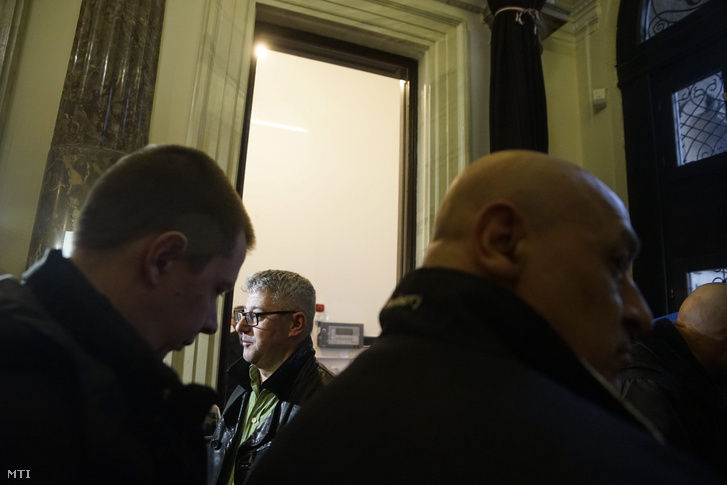 Journalists quickly identified some of the "baldies", as well as the "private person's" companion, all of whom had ties to the private security service of a football club now presided over by a key Fidesz official. In contrast, police failed to find, interview or indict anyone to this day. The turn came when security camera tapes surfaced. The second-level court had no choice but to annul the NVB's decision and finally open the way for the Socialists' question. This time, Orbán took matters in his own hand, and did a 180-degree turn. To prevent the Socialists from scoring big, the immediate abolition of shopping-free Sunday was pushed through parliament in a few days, making the referendum obsolete. Would-be renegades (out of ideology or business ties) among Fidesz MPs were even threatened with expulsion. It has been known for some time that Hungary's central bank, the Hungarian National Bank (MNB) removed sums on the scale of a billion euros from public oversight by parking it in foundations. MNB refused to provide any information on the spending of these foundations by claiming that it is not public money. After various lawsuits by journalists and opposition politicians passed multiple court instances, the government launched a last-ditch effort: they pushed a law through parliament which would have made the spending of the foundations secret. Thus, finally, a week ago, MNB was forced to reveal information. As everyone expected, lots of funny money went to various Fidesz-close entrepreneurs. But there was more small-time corruption, too: lots of funny money went to companies run by the friends & relatives of the head of MNB. In the most blatant case found so far, five of the foundations have independently subscribed to the exact same monthly financial study of the company of a cousin. This scandal is far from over: MNB has only released data on money given to legal persons, but is still blocking the release of data on money given to private persons, although the data protection ombudsman denied that privacy applies here. The long story short: like in Berlusconi's Italy, the government's reaction to high-level corruption is to change laws to make actions legal, but effective opposition only comes from within the regime. Meanwhile, former German Chancellor Helmut Kohl (who as Chancellor presided over his party like a mafia don and maintained slush funds while he enjoyed undeserved domestic and foreign respect) caused a stir in Germany by granting an audience to Orbán. good to have you back. The situation sounds grim. I thought the EU was supposed to be a union of democracies. Does the EU do any monitoring to ensure that the EU Convention on human rights and other basic democratic standards are adhered to? Are there no enforcement procedures contained in the Treaties? Have test cases been taken to the European Court? It seems to me the EU can ignore abuses of basic human rights and democratic norms only for so long - before the whole EU demos becomes infected. Wise heads would be acting now to prevent worse abuses in the future. Do the Treaties even allow the expulsion of a member state which flouts basic human rights? "I thought the EU a union of democracies." Well, 'was supposed to be' is, I think, the operative phrase. But just think, you kept all of these countries safe from Russia - at the mere cost of your soul. The USA will be eternally grateful - when you all double your defense spending at least. that one was laughed out of court when Berlusconi was corkscrewing the Italian constitution to suit himself. Then Germany insisted upon the immiseration of almost the entire population of Greece. In theory, voting rights could be suspended. In practice, democracy is only checked on entreance. Also, I think that Fidesz is benefitting from being part of EPP. European institutions are pushing back. The European Parliament endorsed a highly critical report on Hungary in June 2013 and, earlier this month, again voted to condemn Orbán's recent actions. The Council of Europe published a highly critical report on Hungary's Constitutional Reforms in 2013, and this month published a new report criticizing xenophobia and violence against minorities and immigrants in Hungary. The European Commission has launched a series of legal actions against Hungary. But none of this has deterred Orbán. To understand why the EU has been so ineffective in opposing Orbán's drive to consolidate power, one must look first to the leadership of the European People's Party (EPP), the center right faction in the European Parliament of which Orbán's Fidesz party remains a member in good standing. Leading figures in the EPP are sheltering the Orbán regime in the name of partisan politics. In the interest of party loyalty and of maintaining their majority in the European Parliament, many EPP politicians have proven themselves willing to tolerate Orbán's violations of democratic values. Indeed. But it's not just Orbán and the EPP: now, one way or another, the entire Visegrád group and Romania have or have had governments flouting democratic norms in ways similar to Orbán's regime, and the entire group has now found unison in anti-refugee xenophobia. And that includes Robert Fico of Slovakia, the black sheep of SD who is tolerated the same way EPP shields Orbán. Those who believed in a Social Europe should rue the day they were conned into supporting incorporation of the Visegrad group of countries into the EU. The just handed over the keys to the castle to the barbarians, even if with a time delay. If there were one thing that could be undone that would be it. Where is The Terminator when you need him? I'm afraid that is one more thing we have the Brits to thank for. Their strategy was to prevent the deepening of the Union by diluting it with the addition of 10 eastern members and also by making it essentially ungovernable by requiring unanimity amongst 28 members before major decisions could be made. The EU also played into the US/|UK post cold war strategy of isolating Russia by encroaching right up to its borders. None of this had any regard for "the social market", or the development of a cohesive EU demos. Indeed quite the reverse: it was to ensure that the Brit strategy of restrict the development of the EU to a glorified single market within which the Brits could play their imperialist games. Where is Genghis Khan when you need him? Genghis Khan was an astute politician who knew the point of the velvet glove as well as the iron fist. Quite a few times his Velvet Glove was dumbly interpreted as a weakness. He was indeed a populist (or the ultimate all-providing dad, the first communist) for the Mongol tribes. Ensuring sustainable succession was tricky; his feminism helped somewhat. The Mongol rule in Russia descended from the lineage of questionable paternity. That diminishes Putin's chance, though surely much possible. Hmmm, do Boney M know about this? It is fine for Eurovision '79 dancers. We should also look at the Great Vampire Squid more closely. How much of this is a conscious remodeling of Hungary by Fidesz to an Eastern cleptocracy? Beyond power politics do they somehow think this is a more sustainable model than liberal democracy? Is it some coherent ideology or just ego and culture? Very apt question. For Orbán, there is definitely an ideology behind it: he made the point that liberal democracy is in decline and that countries like Turkey or Russia are models for success in several speeches, and defined his model "illiberal democracy". I'm less sure about his minions, especially the second-generation leaders: I think they are best described as yuppies without any scruples, in it for personal advancement and nothing more. Considering how ham-fisted the referendum-thwarting attempts were, and how cheap the central bank head's money-for-friends tricks were, my hunch is that the main culprits were single minions and Orbán (and thus the entire regime) wasn't necessarily in the know in advance. What would likely happen in the absence of Orban?